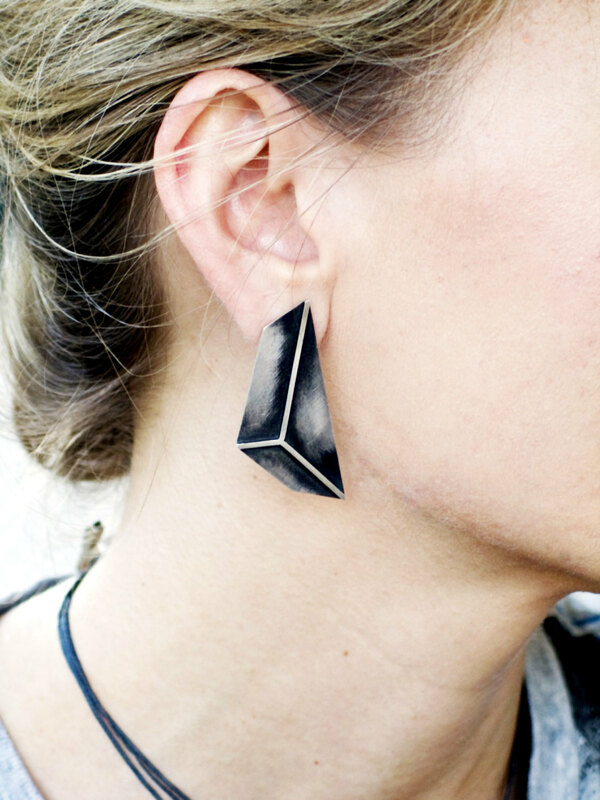 - The triangles are hand cut from sterling silver sheet, with sterling silver square wire soldered on top. 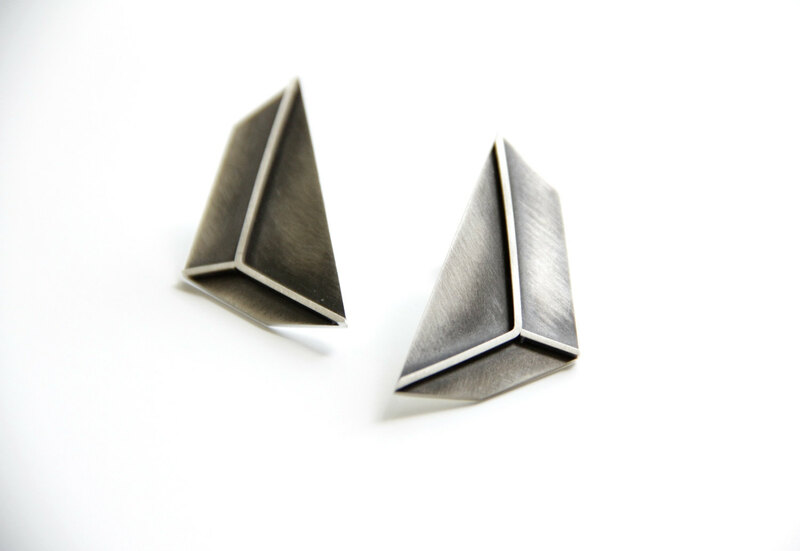 - The earrings are oxidized and slightly brushed to give a 3D effect. - They measure 1.8 inches (4.5 cm) long by 0.8 inche (2 cm) wide.